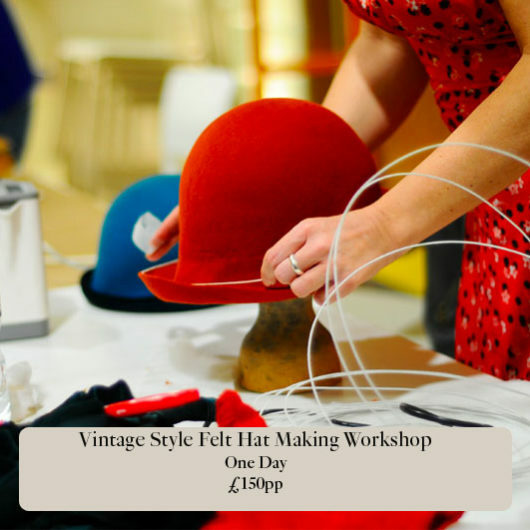 In this workshop the participants learn how hats are made and formed. 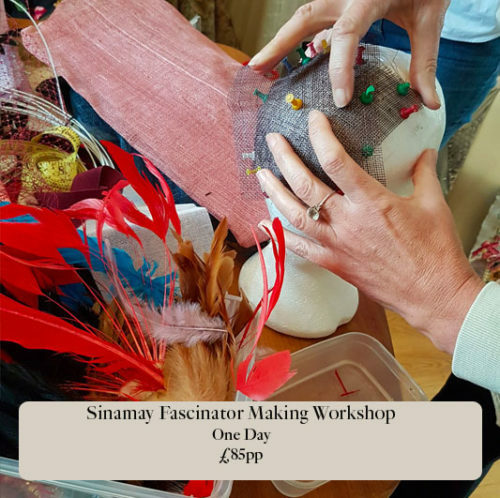 Held in Sahar’s central London studio, we will focus on Sinamay – which is the most used material that summer hats are made from. 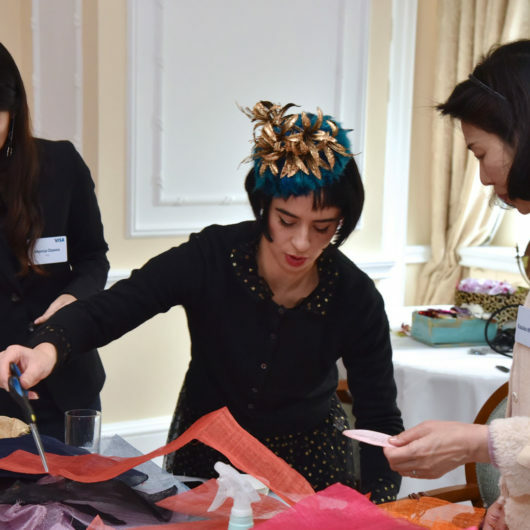 Participants are taught the process from start to finish as they make their own fascinator base, shaping the sinamay around a head base, then wiring and trimming their base. 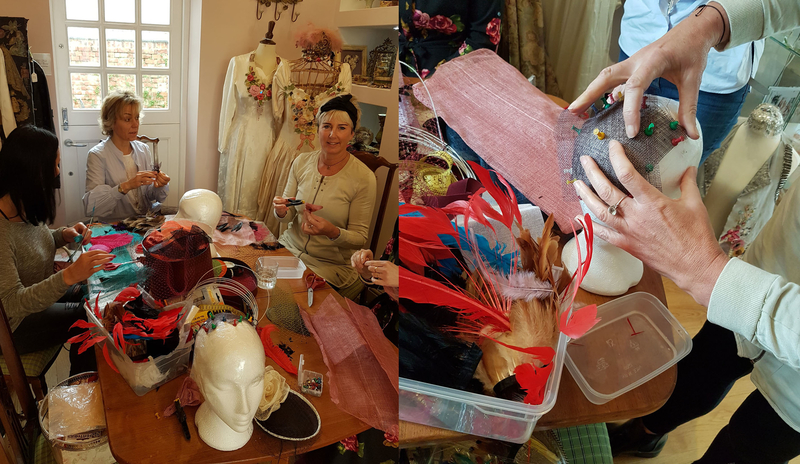 Then we will make roses out of sinamay, roll edges, and learn to manipulate feathers, and attaching birdcage veils. 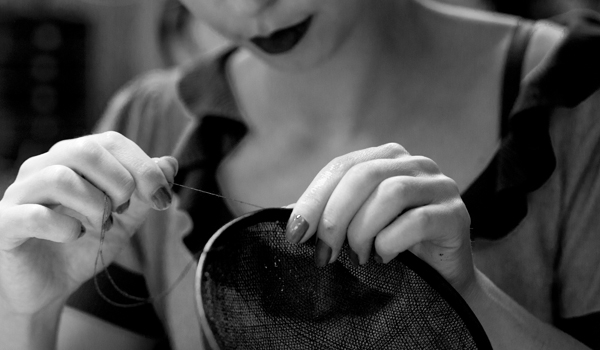 Sahar will provide all materials such as sinamay, feathers, net veiling, gems and all sorts of adornments. 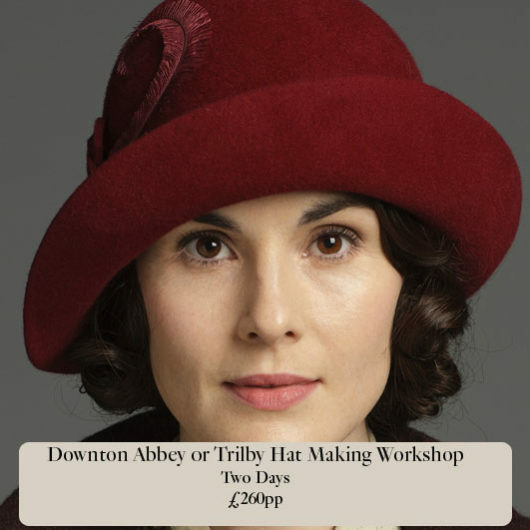 If you have something special eg a brooch or piece of fabric, please bring it along and see if we can incorporate into your hat! 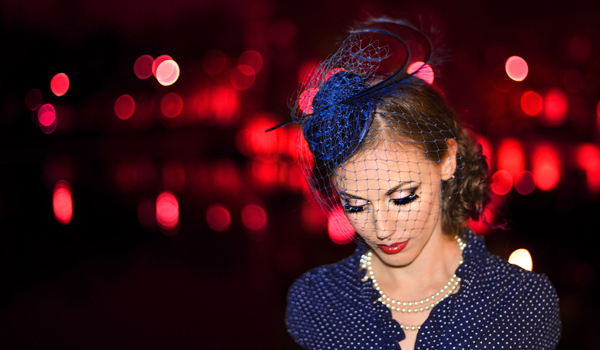 If you have an outfit in mind to match your hat with, feel free to bring it along. It’s a very creative class in that you design your own finished piece using the skills which I have taught. They’re small classes so you get a lot of one to one attention. 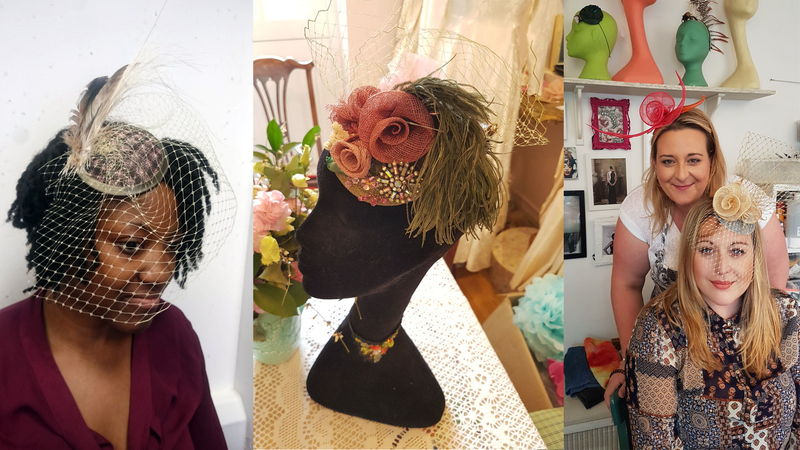 This is a great first crash course in hat making for people who are curious in the art of millinery and those who would like to learn a new craft, as well as those who just want a new fascinator! Limited Spaces. No experience necessary. 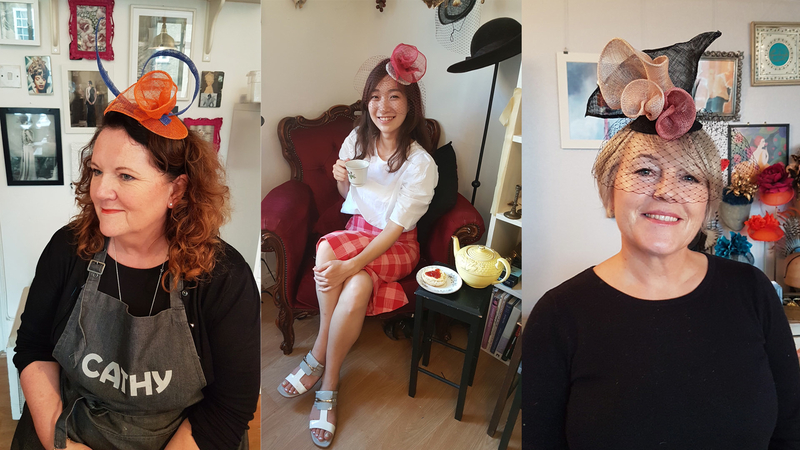 You can also purchase this as a present for someone – they will be well looked after and will love you every time they wear their fascinator!